Bandhavgarh National Park is one of the popular national parks in India located in the Umaria district of Madhya Pradesh. Bandhavgarh was declared a national park in 1968, with an area of 105 km2. The buffer is spread over the forest divisions of Umaria and Katni and totals 437 km2. The park derives its name from the most prominent hillock of the area, which was said to be given by Hindu Lord Rama to his brother Lakshmana to keep a watch on Lanka (Ceylon). Hence the name Bandhavgarh (Sanskrit: Brother's Fort). This park has a large biodiversity. The density of the tiger population at Bandhavgarh is one of the highest known in India. The park has a large breeding population of leopards, and various species of deer. Maharaja Martand Singh of Rewa captured the first white tiger in this region in 1951. This white tiger, Mohan, is now stuffed and on display in the palace of the Maharajas of Rewa. Historically villagers and their cattle have been a threat to the tiger. Rising mining activities around the park are putting the tigers at risk. WILDLIFE Bandhavgarh has one of the highest density of Bengal tigers known in the world, and is home to some famous named tigers which are large in size and are beutiful. 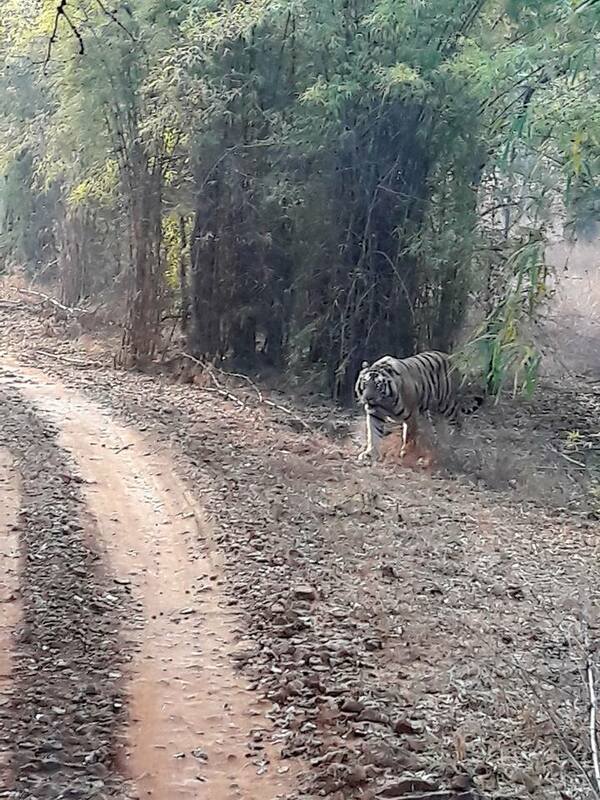 Charger, an animal so named because of his habit of charging at elephants and tourists (whom he nonetheless did not harm), was the first healthy male known to be living in Bandhavgarh since the 1990s. A female known as Sita, who once appeared on the cover of National Geographic and is considered as the second most photographed tiger in the world, was also to be found in Bandhavgarh for many years. Almost all the tigers of Bandhavgarh today are descendants of Sita and Charger. Their daughter Mohini, son Langru and B2 also maintained their tradition for frequent sighting and moving close to tourist jeeps. Mohini, became prominent following Sita's death. She mated with Mahaman Tiger. She later died of her wounds from a vehicle accident. Charger died in 2000 and his body was buried at Charger Point where he was kept in a closed region at his old age. Between 2003 and 2006, many of his descendants met with a series of unfortunate ends. B1 was electrocuted and B3 was killed by poachers. Sita was killed by poachers. Mohini died of serious wounds to her body. After the death of Charger, the fully grown B2 survived as the dominant male in the forest between 2004 and 2007. He also became the strongest tiger in the world. 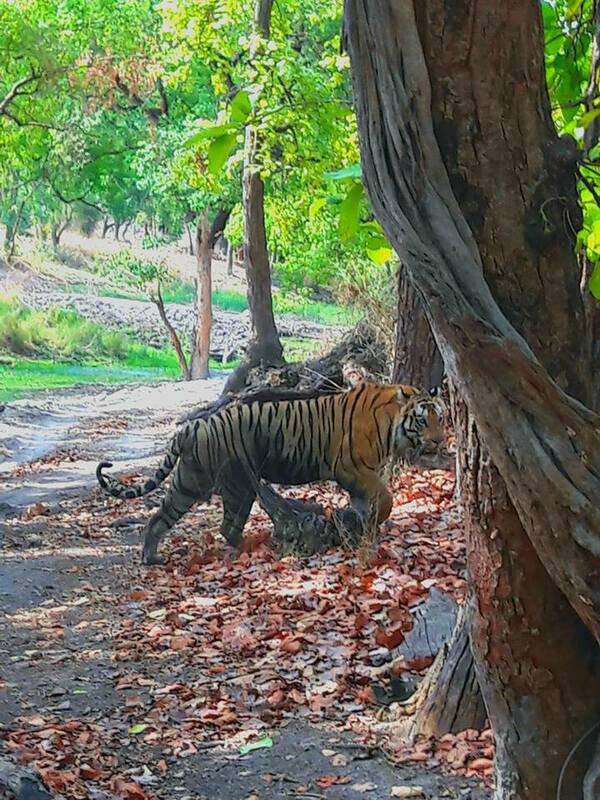 Mating with a female in the Siddhababa region of Bandhavgarh, he became a father of three cubs. One of them was a male. He was named Bamera. He was first sighted in 2008 and is now Bandhavgarh's dominant male. In November 2011, B2 died. Postmortem studies suggest that he died a natural death. 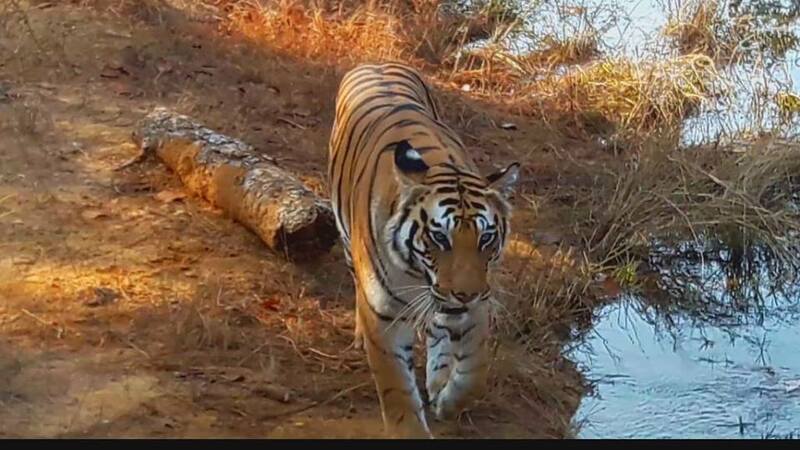 Now, the most prominent tiger in Tala zone of Bandhavgarh National Park is Bamera. However, of late he has been challenged on several occasions by a new male. Blue Eyes and Mukunda are the dominant males of Magdhi and Khitauli zone respectively. The females who are seen more frequently are Rajbehra, Mirchaini, Banbehi, Mahaman, Sukhi Pattiya and Damdama. There are quite a few cubs also who are either in sub-adult stage or have entered adulthood and are separate now. ith the tiger at the apex of the food chain, it contains 37 species of mammals. According to forest officials, there are more than 250 species of birds, about 80 species of butterflies, a number of reptiles. But many people have the species' list of about 350 birds along with photographs. The richness and tranquility of grasslands invites pairs of sarus cranes to breed in the rainy season. One of the biggest attractions of this national park is the tiger (Panthera tigris tigris) and its sightings. 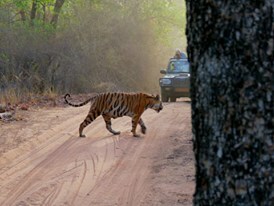 Bandhavgarh has a very high density of tigers within the folds of its jungles. 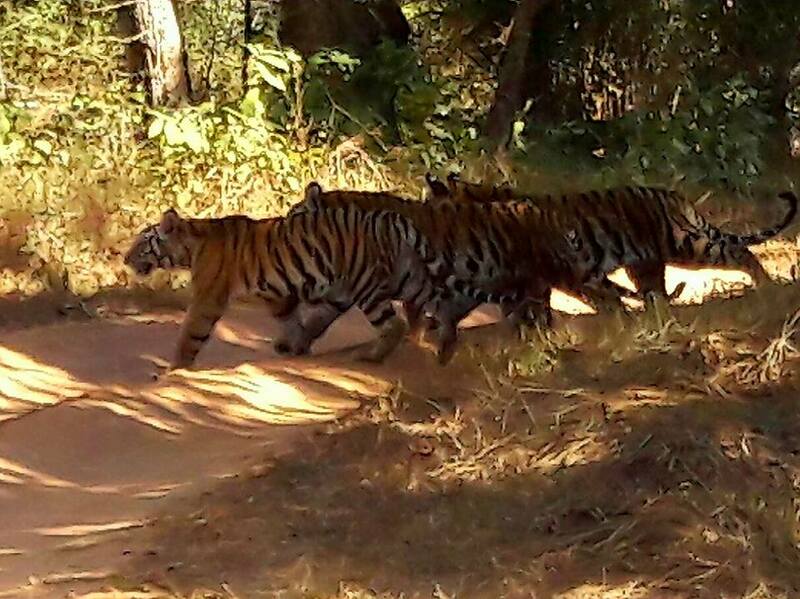 The 105 km2 of park area open to tourists was reported to have 22 tigers, a density of one tiger for every 4.77 km2. (Population estimation exercise 2001). The population of tigers in the park in 2012 is about 44-49. There is a saying about the Park that goes: "In any other Park, You are lucky if you see a tiger. 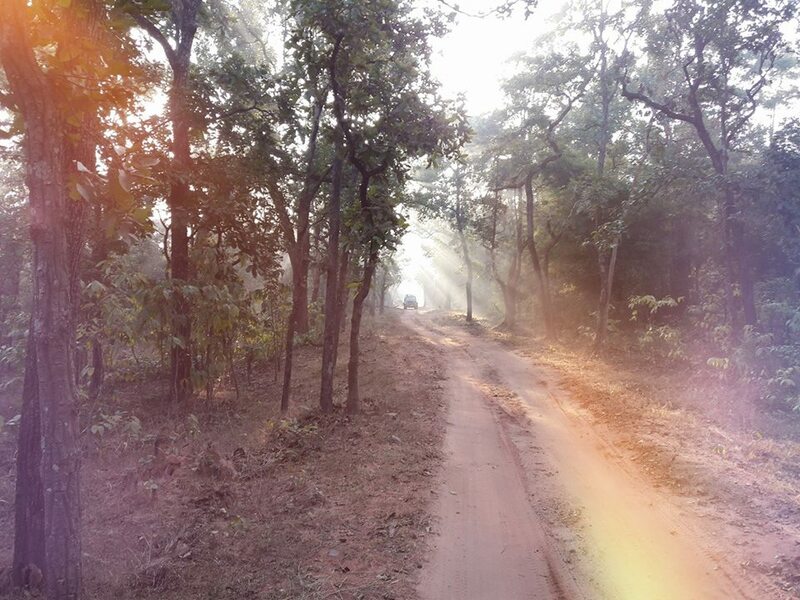 In Bandhavgarh, you are unlucky if you don't see (at least) one." But the situation is not like that nowadays. spotting a tiger is rare one out of 10 tourists is able to spot the tiger. 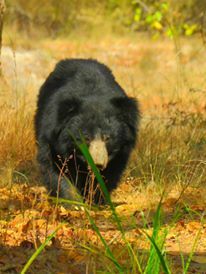 Bandhavgarh tiger reserve is densely populated with other species: the gaur, or Indian bison, are now extinct or have migrated elsewhere; sambar and barking deer are a common sight, and nilgai are to be seen in the open areas of the park. There have been reports of the Indian wolf (canis lupus indica), striped hyena, and the caracal the latter being an open country dweller. The tiger reserve abounds with cheetal or the spotted deer (Axis axis) which is the main prey animal of the tiger and the Indian leopard (Panthera pardus fusca). The Indian bison were reintroduced from Kanha. HISTORY: The state of Rewa owes its origins to the foundation of a state dating to 1234 by Viagra Dev, a descendant of the Vaghelas of Gujarat. He married the daughter of the Raja of Pirhawan and conquered the territory between Kalpi and Chandalgarh. Karan Dev, son of Vyaghra Dev married the daughter of the Raja of Ratanpur, bringing Bandhogarh (now known as Bandhavgarh) into the family as her dowry. The legendary fortress of Bandhogarh fell into Mughal hands in 1597, almost by accident. At the death of H.H. Maharaja Virbhadra Rao in 1593, his minor son succeeded as H.H. Maharaja Vikramaditya. When he was sent to Delhi for his own safety, the emperor took advantage of his absence to send one of his loyal nobles as temporary governor. Once he had taken control of the fort, the Maharaja’s nobles and officials were expelled and the fort annexed by the Mughals. On his return to his remaining domains, H.H. Maharaja Vikramaditya was forced to establish a new capital at Rewa, whence the state took its name. Bandhavgarh fort The history of the region can be traced back to the 1st century. There are 39 caves in the Bandhavgarh fort and in the surrounding hillocks up to a radius of about 5 km. The oldest cave dates from the 1st century. Several caves carry inscriptions in Brahmi script. Some caves have embossed figures such as tigers, pigs, elephants, and horsemen. Badi gufa, the largest cave, has a broad entrance, nine small rooms and several pillars. It has been dated back to the 10th century. The cave appears to be primitive, lacking the elaborate statues and carvings seen in the caves of the Buddhist period. Its purpose remains a mystery. No records are available to show when Bandhavgarh Fort was constructed. However, it is thought to be some 2000 years old, and there are references to it in the ancient books, the “Narad-Panch Ratra” and the “Shiva Purana”. it is also believed that Lord Rama visited Bandhavgarh and gave this fort to his younger brother Laxmana ( bandhu) resulting in the name- Bandhavgarh.Various dynasties have ruled the fort; including the Mauryans from the 3rd century BC, Vakataka rulers from the 3rd to the 5th century the Sengars from the 5th century and the Kalachuris from the 10th century. In the 13th century, the Baghels took over, ruling from Bandhavgarh until 1617, when Maharaja Vikramaditya Singh moved his capital to Rewa. The last inhabitants deserted the fort in 1935. Statue of Shesh-Saiya at Bandhavgarh National Park Bandhavgarh National Park is a park with a rich historical past. Prior to becoming a national park, the forests around Bandhavgarh had long been maintained as a Shikargah, or game preserve, of the Maharajas and their guests. In 1947 Rewa State was merged with Madhya Pradesh; Bandhavgarh came under the regulations of Madhya Pradesh. The Maharaja of Rewa still retained the hunting rights. No special conservation measures were taken until 1968, when the areas were constituted as a national park. Since then, numerous steps have been taken to retain Bandhavgarh National Park as an unspoilt natural habitat. Project Tiger was constituted in 1972 and then the Wildlife Protection Act of 1972 came into force. It was realized that protection of just the 105 km2 of prime Bandhavgarh habitat was not enough, so in 1982, three more ranges, namely Khitauli, Magdhi, and Kallawah were added to Tala range (the original Bandhavgarh National Park) to extend the area of Bandhavgarh to 448 km2. As Project tiger extended its activities and area of influence, Bandhavgarh was taken into its folds in 1993, and a core area of 694 km2 was established including the previously named ranges and the Panpatha Sanctuary along with a buffer area of 437 km2 which was declared as the Bandhavgarh Tiger Reserve. Nearest Bus stand are Umaria, Katni and Jabalpur.